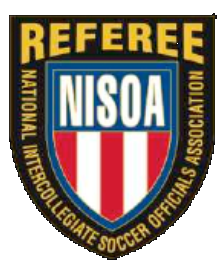 Welcome to the Web Site for the Southwest Regional Board representing Southern California Counties from Central & South Coast, Inland and Central Regions and the Southern California Intercollegiate Soccer Official Association. If you are a current SOCALNISOA member check out the current member portion of the website. If you are a new member or rejoining NISOA go to the new member info portion of the website. Please take your time and check out our site, thanks for visiting.